Here's a must-have mod for all you J. R. R. Tolkien fans out there - this mod will bring most of Middle Earth into Skyrim, with areas such as the Mines of Moria, The Shire and Rivendell all available to explore. The mod is not so much a total conversion as an add-on that sits alongside the main game. There's a doorway added in the west of Skyrim that will magically transport players to Middle Earth, where there's plenty of Lord of the RIngs related quests to partake in, with Khazad Dum and the Fellowship of the Ring featuring. 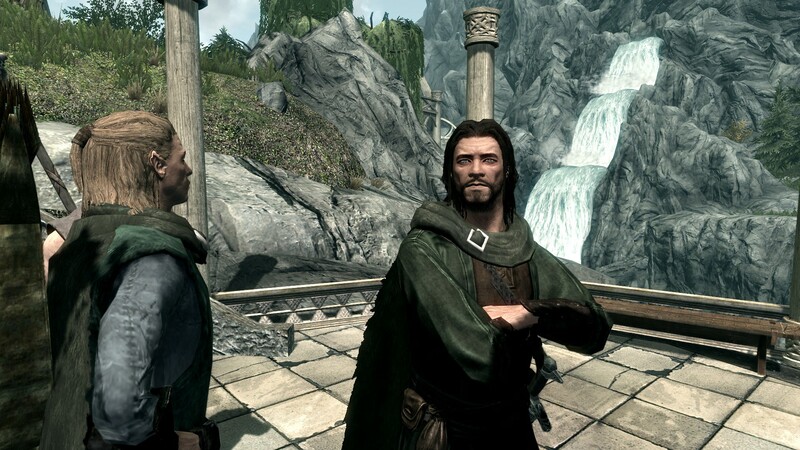 It also brings new companions, items, and armor, all in Lord of the Rings style, and the best part is, yes, companions can return to Skyrim with you, should you fancy having a hobbit accompany you on your next visit to see Jarl Balgruuf. The mod does require all the DLC for Skyrim, and there's some fiddling required to get it working on Special Edition, although it is also compatible with the original release. It's amazingly complete and detailed though, and it's absolutely worth the download. You can grab The Elder Scrolls V: Middle Earth from Nexus Mods here.